What Is Address Cleansing and Verification? When your shipping labels contain typos, incorrect ZIP codes or non-standard state abbreviations, delivery rates can decline and postage may be wasted if your mail is returned as undeliverable. Address cleansing and verification helps ensure that your delivery addresses are formatted to the U.S. Postal Service's preferred specifications and include only addresses that the USPS delivers to. One method of address cleansing and verification is accomplished by CASS-certified (Coding Accuracy Support System) software which compares your shipping addresses to the USPS database to help you discover any errors or inconsistencies regarding spelling, ZIP codes or state abbreviations. Much like a spell checker, the cleansing software will suggest an alternative when it finds an error. In addition, if you’ve only included a five-digit ZIP code, the software will append the correct zip plus 4 so that your address matches the nine-digit ZIP + 4 format. CASS-certified address cleansing and verification software will check your shipping address against the USPS database before printing your shipping label. If there is a needed correction, the software will suggest the USPS-approved address. There are many benefits associated with address cleansing and verification. When you select a CASS-certified software solution, you eliminate postage costs for undeliverable mail and increase customer service through faster delivery. If you are sending a direct mail piece, address cleansing and verification will help more mail get delivered which could improve the response rates and sales for your campaign. When you use Stamps.com for your mailing and shipping needs, you don’t need to worry about address cleansing; Stamps.com automatically does it for you! 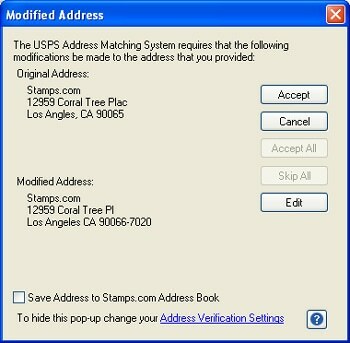 Stamps.com is a CASS-certified solution that regularly syncs with the USPS Address Matching Service Database to make sure your customer’s address are complete, state abbreviations are standardized and ZIP codes are current and complete. 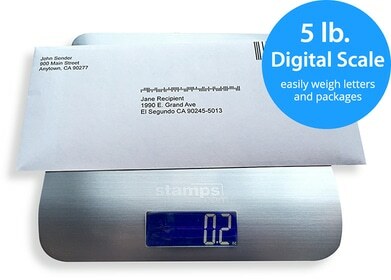 Stamps.com cleanses every address on your mailing list at no extra charge before printing labels or postage. This process ensures your mail will be delivered quickly and correctly without unnecessary expense.